The number of bitcoin gambling platforms skyrocketed in the past few years. However, even in such a competitive market, Mars casino managed to attract well over 100,000 players. More than 1,300 online casino games, exciting tournaments, and rewarding bonuses are just some of the many noteworthy features that we will cover in this Mars casino review. So, make sure you go through it carefully so that you can decide if this casino works for you. If not, we recommend reading other reviews on our site, and you will undoubtedly find the perfect one for you. Mars casino offers a wide variety of games including thousands of slots, a couple of roulette variations, as well as, jackpot, live dealer games, and BTC games. There are also exciting tournaments that you can take part in. All games that you can play here are made by software companies with a rich background and high reputation in the industry. NetEnt, Microgaming, BetSoft, Amatic, iSoftBet, GameArt, Ezugi, and Habanero are only some of the recognizable, big players in the industry that are involved in the operation of this casino. The best way to start your gambling journey on Mars casino is to claim their Welcome package. The first deposit bonus doubles your deposit up to 1 BTC, plus you get 50 Mars casino free spins. As for your second and third deposits, you will receive a 25% boost up to 500 mBTC. The best part, you don’t have to type Mars casino bonus codes to claim any of these offers; just make sure you meet the minimum deposit requirements. Mars is not only generous to the newcomers; they also take care of their loyal community. You see, all registered players can claim a 25% reload bonus every Monday and Wednesday up to 100 mBTC. 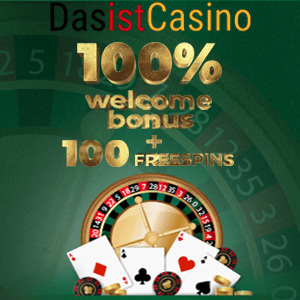 Moreover, for every third deposit you make in a day, you will receive 25 free spins. Last but not least, if you deposit four days in a row, you can use the special loyalty bonus, which gives you a 15% cashback. Even though at the time of writing this Mars.casino review there was no Mars casino no deposit bonus, their promo offer is still above average. Regardless if it’s your first time on the platform or you are a veteran Martian, the casino will always have a fantastic deal for you. Although at first glance the site features a cartoon-like appearance, it’s all made to fit with casino’s theme. The story revolves around the planet Mars and facts related to it and makes you feel like you are part of another dimension. This is what sets this casino apart from the others that don’t offer anything more than the already seen, boring layout. The site isn’t cluttered with unnecessary content. On the contrary, it features clean, interactive design, and fast game loading time both on desktop and mobile devices. Additionally, experienced and friendly customer support agents are available 24/7 via live chat and email. Another significant advantage of this casino is that they accept both fiat and cryptocurrencies. But we will focus just on crypto. You can make deposits and withdrawals with Bitcoin, Litecoin, Skrill, Ethereum, Dogecoin, and Bitcoin Cash. Also, all deposits and withdrawals with cryptocurrencies are instantaneous. However, unlike the vast majority of crypto gambling platforms, Mars casino has deposit fees on some crypto coins. Namely, a 0.5% fee for Ethereum, Litecoin, Dogecoin, and Bitcoin Cash. The Mars casino website relies on the latest technology and security measures to ensure that all of your data is secured and protected. Plus, as it has been highlighted by numerous Mars casino reviews, all Bitcoin transactions are performed in a completely secure and anonymous manner. After discussing the most noteworthy features in this Mars casino review, we can say that this operator deserves all its praise. The main reasons why thousands of gamblers return to Mars casino include – a vast selection of casino games, incredible tournaments, generous bonuses and promotions, top-notch user interface and site performance, as well as high-level of safety and security. With that being said, we highly recommend this casino to anyone who wants to have a fun gambling experience.